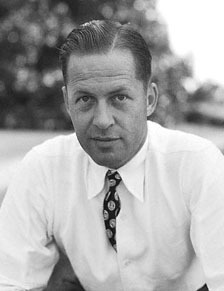 While the South is known for its golf courses (Augusta, Pinehurst, Sawgrass), the game of golf hasn’t been focused here since Bobby Jones. Jones pulled the spotlight from Hagan and New York and was able to keep it through most of the 20’s and 30’s. But following his health issues, it went back to New York with Gene Sarazan. And then to Texas with Byron Nelson and Ben Hogan. It could be argued golf should have taken root in Virginia with Sam Sneed, but he had the misfortune of being a contemporary of Hogan, and Sneed never seemed to be able to wrangle it away from Hogan and take it home to Virginia. Following Hogan, it could be said Arnie’s Army marched the game back to North Carolina. But Arnie had the pleasure of being the first mainstream marketable face in golf. And rather than take the game to North Carolina, it ended up in Times Square. Throw in Gary Player and a young Jack Nicklaus and the south never had a chance. The game rested in the hands of the Big Three and corporate America through the remainder of the 60’s, & 70’s until their careers wound down. But following their run, golf seemed to struggle (minus one incredible run old man Jack had in ’86 at Augusta). It produced great golf, but it could never find its star – someone who could elevate the game the way the earlier greats did. And then came Tiger Woods. With him, the game refocused itself in places like Palo Alto, California (Stanford) and Eugene, Oregon (Nike). And it stayed there until one unforgettable November night in 2009. When Woods crashed into the fire hydrant and was taken to the hospital, the game of golf went south. Literally and figuratively. But when the south finally had its grip on the game again, it didn’t let go. This time it held on, like a Gator with dinner. During Tiger’s run, starting with his win at Augusta in 1997 and ending that fateful night, Americans won 32 major championships (Tiger 14). Of those 32 wins, only 6 were by southerners. The numbers were even worse until Glover (Clemson) and Cink (Georgia Tech) went back to back in the summer of 2009. That 12+ year run saw Tiger and Phil go head-to-head and the rise of Jim Furyk. It was so bad, even the one-hit wonders were Yankees (Beem, Micheel, and Hamilton). But since that night, the South has risen. The majors don’t show it (2 to 2, with the last two going to the south), but the regular tour stops do. Using the start of 2010 as the barometer, American’s won 72 PGA Tour events (not counting alternate or non-official events). Southerners won 35. Since 2011, Southerners won 23 of 44 tournaments with American winners. This year, 11 of 21 (and both majors). And while these numbers only show Southerners winning half the tournaments, the south gets no credit for the vast areas of Texas and Oklahoma. These areas aren’t really south, but they ain’t north either. If you leave Texas and Oklahoma out, then the South has won nearly twice as many events as the other regions. And it’s a different breed of golfer. They’re young, brash, and, most importantly, themselves. You’ve got Watson’s power and quirkiness, Dufner’s chill, Dustin Johnson’s length, Kuchar’s smile, and Haas’ lineage. But will it last? Not sure, only one of the Golf Boys is from the south. And he has a Green Jacket. This entry was posted in Clemson, random, Sports, Videos and tagged golf, Golf Boys, South, Tiger Woods by willy powell, pe. Bookmark the permalink.